The Confederation of African Football will this week deliberate on making some changes to Africa's biggest football competition. New-look Africa Cup of Nations and CAF Champions League competitions could emerge this week from discussions in Morocco that will include FIFA president Gianni Infantino. A two-day CAF symposium begins Tuesday in Rabat. Officials, coaches and former stars have been tasked with plotting the future of the continental championship. On Friday, a CAF executive committee meeting will precede an extraordinary general assembly involving the 55 member associations, where changes could be adopted. Former stars invited include Joseph-Antoine Bell of Cameroon, Hossam Hassan of Egypt, Rabah Madjer of Algeria, Austin "Jay Jay" Okocha of Nigeria and Badou Zaki of Morocco. Leading national coaches Florent Ibenge of the Democratic Republic of Congo, Herve Renard of Morocco and Claude le Roy of Togo are also expected to attend. When Malagasy Ahmad Ahmad scored a shock CAF presidential triumph over long-serving Cameroonian Issa Hayatou last March, he vowed to thoroughly review African football. 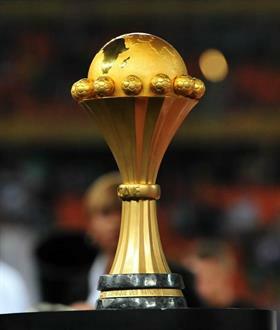 The Morocco gathering is in fulfillment of that promise with the timing, frequency and number of qualifiers in the Cup of Nations likely to be among issues to be put on the table. Hosting the biennial tournament in January and February has long been a source of frustration for European clubs, especially in England and France, where many Africans play. Hayatou consistently rejected suggestions of a move to June, saying the weather then was too hot in northern Africa, too wet in the west and central Africa and too cold in the southern regions. But his view was as much about not bowing to pressure from Europe as climatic conditions because African national teams and clubs play regularly during June without adverse effects.